Not only with our manufacture equipments, we have equipted some examin and test facilities. X-ray detection machine, ultrasonic detector, hydrostatic pressure test machine, chemical composition analyzer and other physical test machine, which to insure the products in quality. We are renowned in many petrochemical industries for providing high performance big size steel pipe. 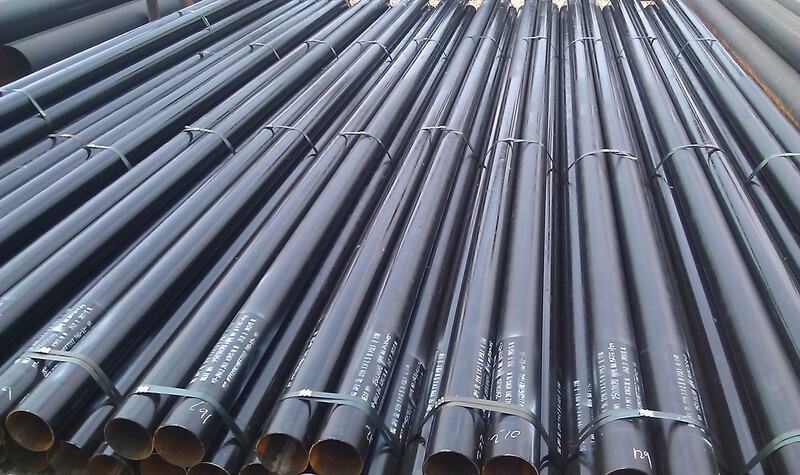 In general,we produce big size steel pipe with standards of API 5L,ASTM A53,ASTM A106,EN10216,EN10217,EN10218,EN10219,EN10210,DIN17175,DIN1629,DIN2448 and so on.we have got API,CE,ISO,PED,UKAS certificate in our seamless steel pipe field. 3. Product:big size steel pipe to be used as column pipes,water pumps or oil,gas transfer. 4. Condition:Each pipe with plain ends or beveled ends. 5. Other Requirements:Additional requirements such as bending,flattening test, hydrostatic tests and nondestructive tests as required are acceptable. 6. Workmanship, Finish and Appearance:All Pipes of one batch are be of alike quality,without cracks,or other injurious defects. 7. Certificate:supplying a test report showing results of test specified in required standard. 8. Packaging and Protection:Material are be separated by size,composition, grade or class and be preserved and packaged seaworthy.